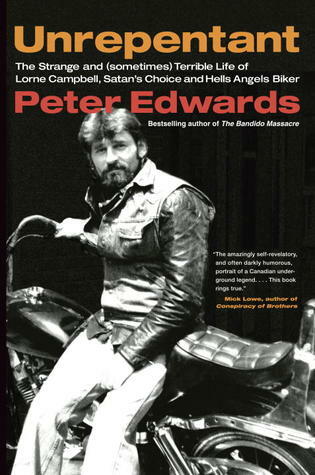 From Goodreads ~ In this explicit first-hand account, a biker who spent 46 years as a member of the Hells Angels and Satan's Choice invites bestselling author Peter Edwards into the story of life lived as we've only imagined it. A kid raised by his father's fists on the wrong side of a blue-collar town, Lorne Campbell grew up watching the local bikers ride past, making him wonder what that kind of freedom and power would feel like. He soon found out. At the age of seventeen, he became the youngest-ever member of the Satan's Choice Motorcycle Club and spent the next five decades living a life for which he does not ask forgiveness, only that his story finally be told, and that his family finally understand what drove him to live the way he did. With moments of terror and humour, great sadness and the simple pleasures of camaraderie and the open road, Unrepentant is a book like none other. 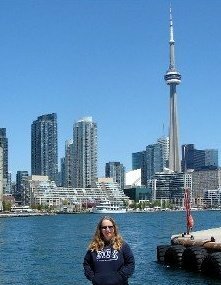 Lorne Campbell was born in Oshawa, ON, and grew up with an abusive father who his mother eventually left. When he was in his late teens, he joined Satan's Choice, an outlaw motorcycle club. Satan's Choice joined with Hell's Angels around 2001. Now in his 60s, this is Campbell's account of his years of being a biker. Most of the stories came from conversations the author had with Campbell and police wiretaps. Over his 46 years as a biker, Campbell came across a lot of people ... some friends and some enemies. There is history and a story about a lot of them. Campbell, though a tough guy, was loyal to his friends and would defend them if they were slighted by beating up anyone. He spent a lot of time in jail and/or prison ... he felt that if you can't do the time, you shouldn't do the time. It seems like he honest about the drugs and booze he has consumed, the people he has beat up severely and or killed, his travels and the loves of his lives. I found it to be an interesting read.